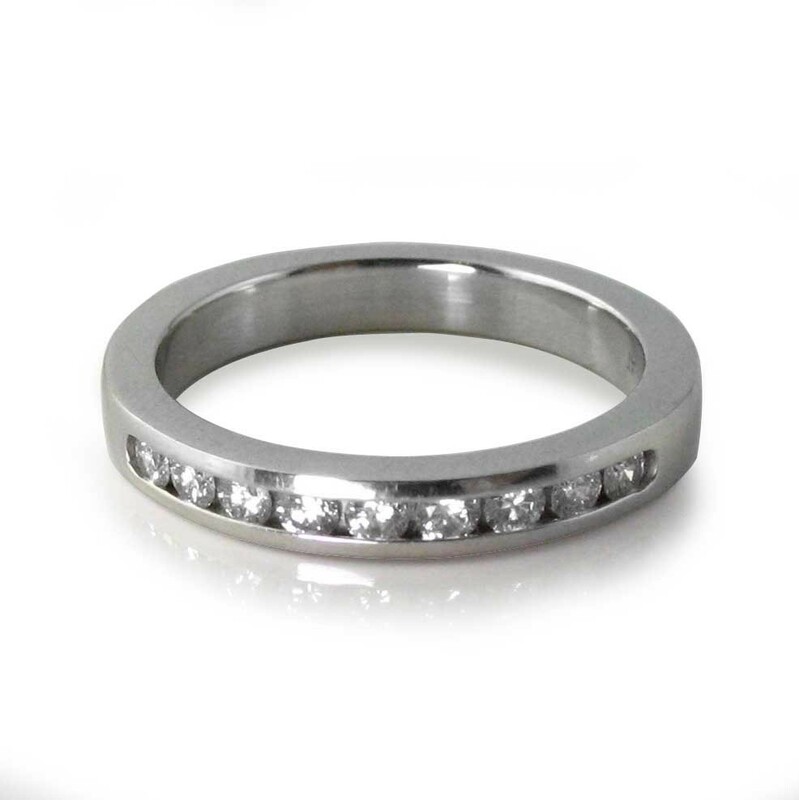 Platinum band with channel set diamonds, nine diamonds weighing .36 carats total weight. Diamonds are G-H in color, VS-2 clarity. 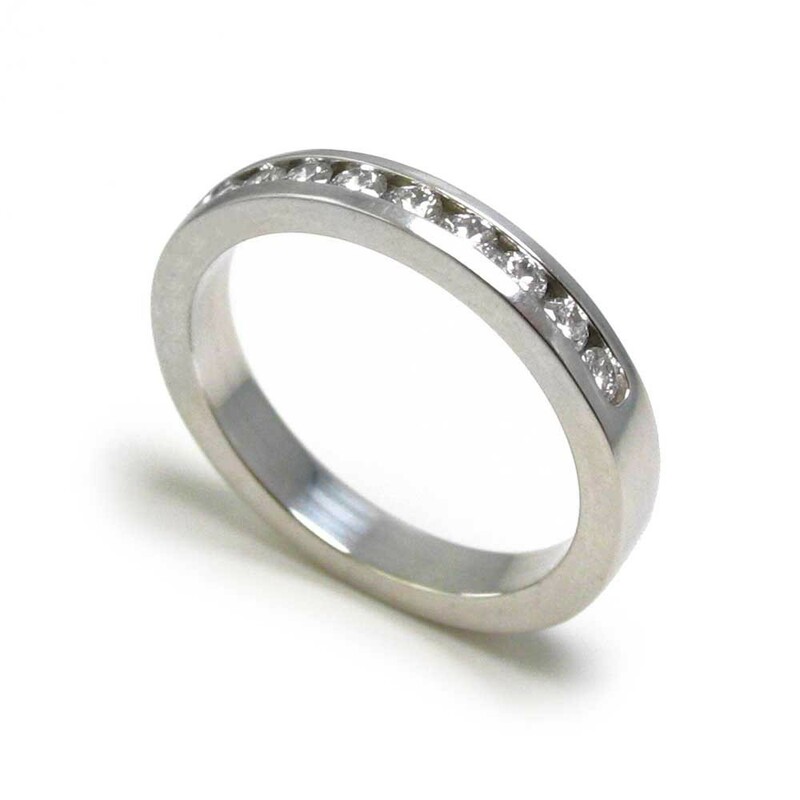 The ring is a size 7.5, it can be easily resized up or down by your local jeweler. Only one band available, this is priced below wholesale cost which is $825.00.